Burnett did a kids Q&A live on “GMA” and discussed her new Netflix series. Iconic comedian Carol Burnett is back in a Netflix original. 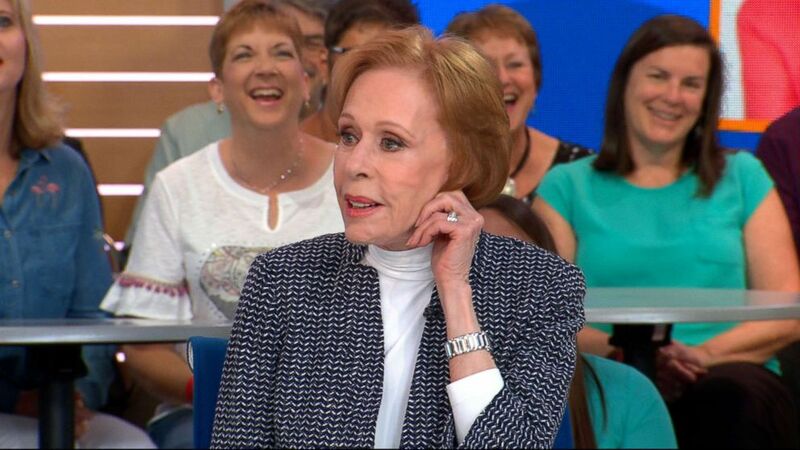 The legendary actress stopped by "Good Morning America" to dish on her new Netflix series, "A Little Help with Carol Burnett." Burnett, 85, who co-hosts the show with comedian Russell Peters, will feature a panel of kids ages five to 9 who help adults and celebrity guests solve their problems. "The grown-up comes on, gives them the dilemma and [the kids] give grown-up advice," Burnett said. "The thing is, that age range, they don't censor themselves. They haven't become jaded by the time they gt to be 11. What they think comes right out of their mouths...and they're real kids. They're not actors." Burnett took questions from young audience members today on "GMA." "Do you still pull on your ear at the end of your show?" asked a child fan. (ABC News) Carol Burnett opens up about what fans can expect from her new Netflix series, "A Little Help with Carol Burnett," live on "Good Morning America," May 3, 2018. "It was for my grandma who raised me," Burnett replied, addressing the trademark move that she did at the end of "The Carol Burnett Show." "And so, when I got my first job on television she said 'Well, say hello to me.' I said, 'Nanny, they're not going to let me say, Hello Nanny.' So, we worked this out and at first it meant, 'Hello Nanny, I love you. I'm fine.' And then as I got a little successful it meant, 'Hello Nanny. I love you. I'm fine. Your check's on the way.'" Another girl said, "My favorite movie is "Annie" and I loved you as Miss Hannigan. My question is, what's the best advice that you've received from a kid?" "A Little Help with Carol Burnett" premieres Friday on Netflix.